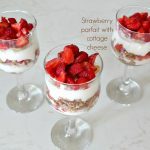 This healthy, savory and nutritious strawberry parfait recipe combines fresh fruit, delicious cottage cheese, Greek yogurt and crunchy whole wheat cereal for an easy, 5 minutes breakfast. We had a lot of strawberries this year! Everywhere I looked around the garden, there were strawberries. That’s the beauty of berries, you don’t have to care for them, just plant and wait for the delicious result to show up on your table. So strawberries found their way into a lot of our meals; I baked and cooked with strawberries like it’s nobody’s business this season. And we truly enjoyed their delicious flavor, there’s nothing like a bowl of cold fresh strawberries on a hot day. Not to mention the healthy bonus! One of the recipes I made was this simple, super quick and incredibly delicious strawberry parfait with cottage cheese and whole wheat cereal. It’s one of the most satisfying breakfasts for me. 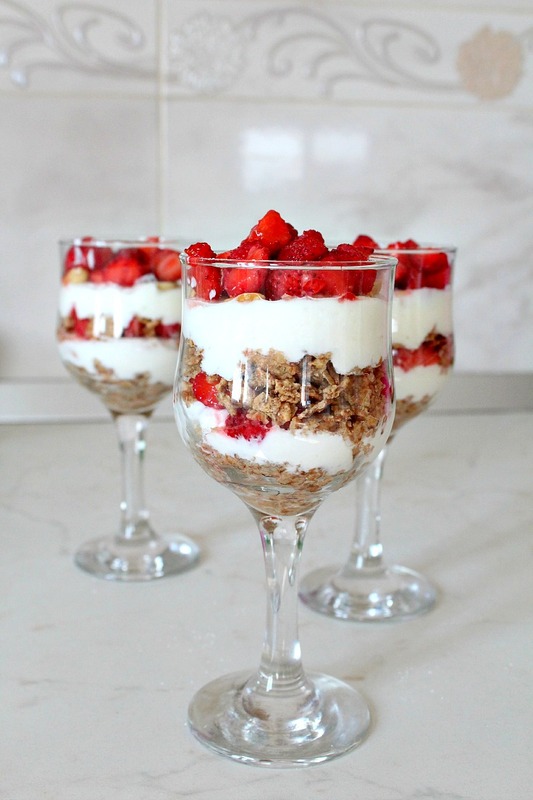 This light, creamy parfait layered with fresh strawberries is perfect for a summertime breakfast, a healthy snack or dessert if you add a bit of honey. It’s also a quick fruit dessert that can be perfect for a romantic dinner for two with no leftovers to worry about. 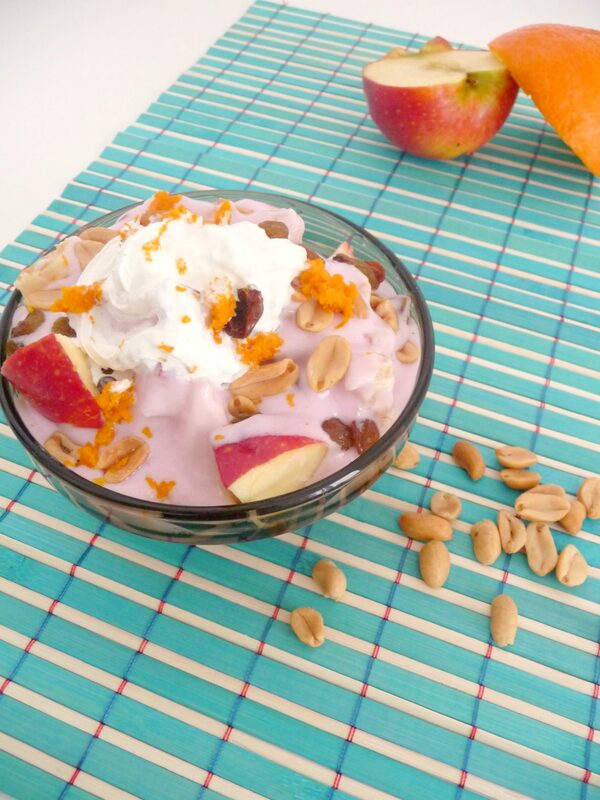 This treat is cool and refreshing like ice cream, but it has less fat and sugar. It’s also very nourishing thanks to the cottage cheese and whole wheat cereal which will help you feel full for a few hours. 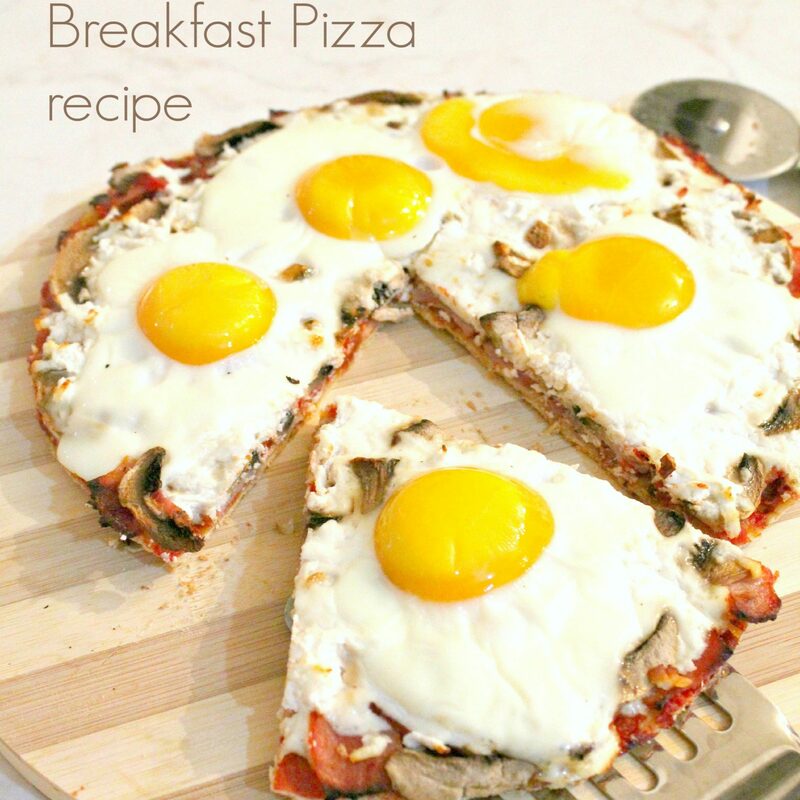 Perfect breakfast for those aiming to lose a few pounds or maintain a healthy weight. 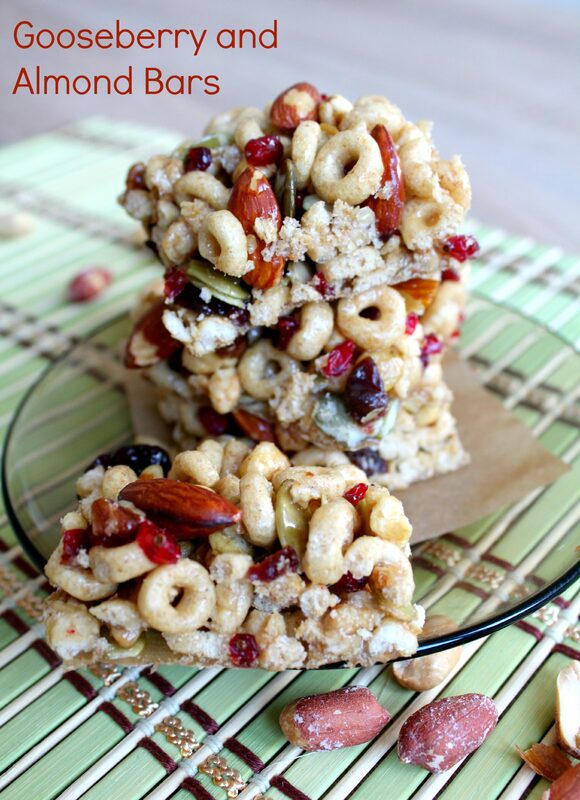 I’ve thrown in some peanuts too for a little energy boost and added crunchiness. Swap peanuts with any preferred nut. 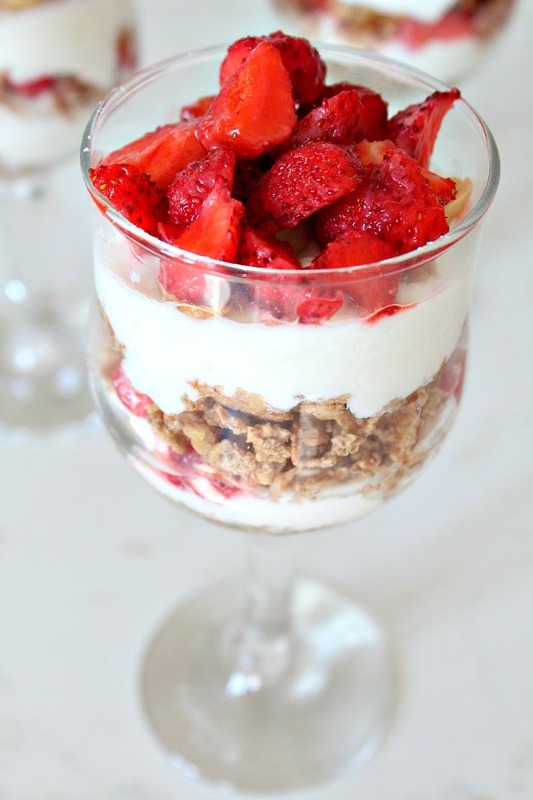 If you’re feeling adventurous, you can roast the strawberries in this strawberry parfait recipe to bring out their natural amazing flavor and create a luxurious syrup while the fruit will still keep a firm texture. 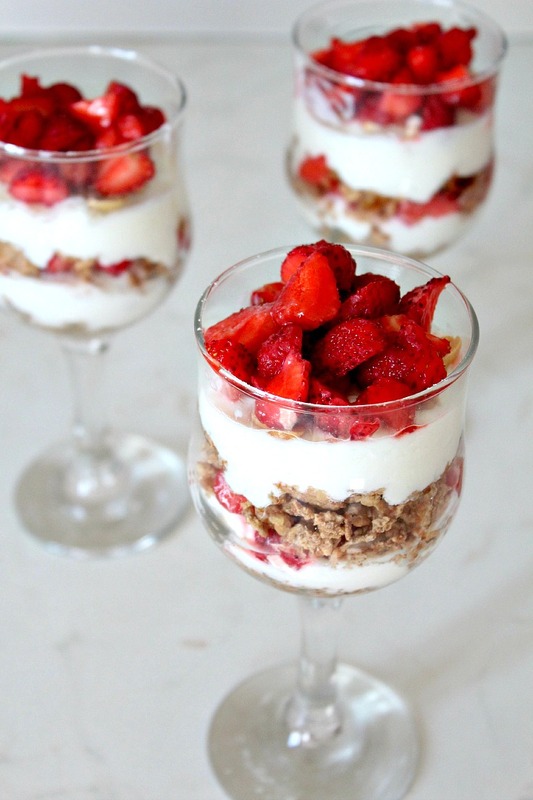 This light, creamy parfait layered with fresh strawberries is perfect for a summertime breakfast, a healthy snack or dessert if you add a bit of honey. It's also a quick fruit dessert that can be perfect for a romantic dinner for two with no leftovers to worry about.